Three Leaves brooch. Paris, France, 1966. Rubies, diamonds, platinum. This Monday, July 4, marks the final day to view Set in Style: The Jewelry of Van Cleef & Arpels at the Cooper-Hewitt, National Design Museum. The museum will be open on July 4 from 10 a.m. to 6 p.m. and, even better, admission is free that day. I can’t imagine a more glamorous way to spend what is supposed to be a hot and humid Independence Day than in the air-conditioned Cooper-Hewitt admiring these sparklers before watching the fiery ones that explode over the East River that night. July 4 also marks the last day to visit the Cooper-Hewitt for two years while it undergoes a renovation to increase exhibition space in the glorious Carnegie Mansion. It’s so old New York in there, I feel like I’m in an Edith Wharton novel when I walk down that dark-paneled staircase. The House of Mirth, perhaps? Mystery-Set Flower brooch. Paris, France, 1986. 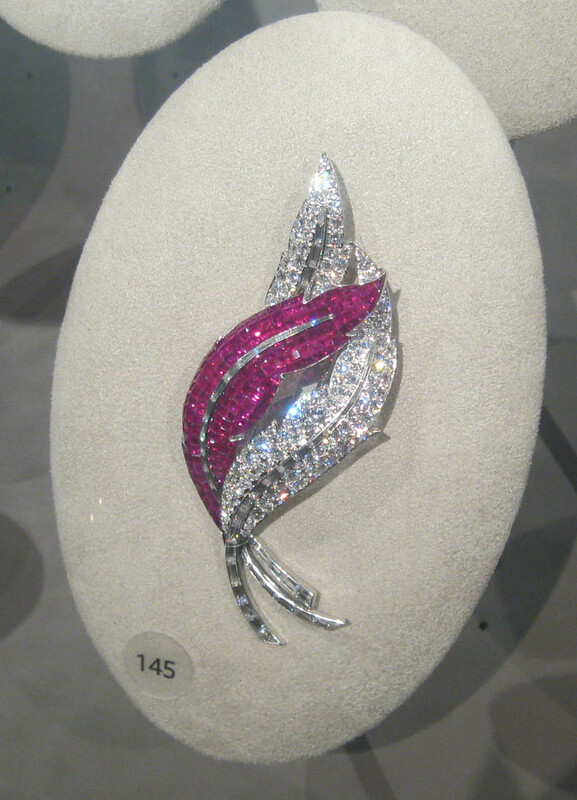 Rubies, diamonds, platinum. Chestnut Leaf brooch. Paris, France, 1952. 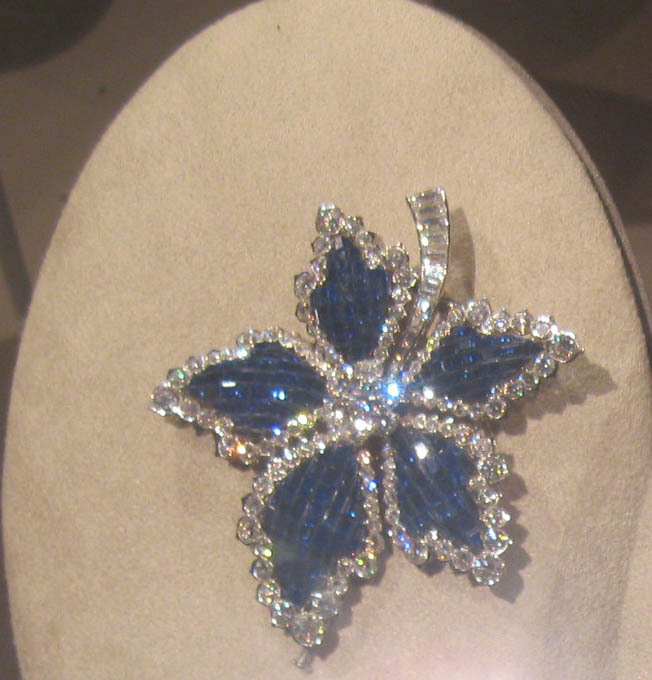 Sapphires, diamonds, platinum. 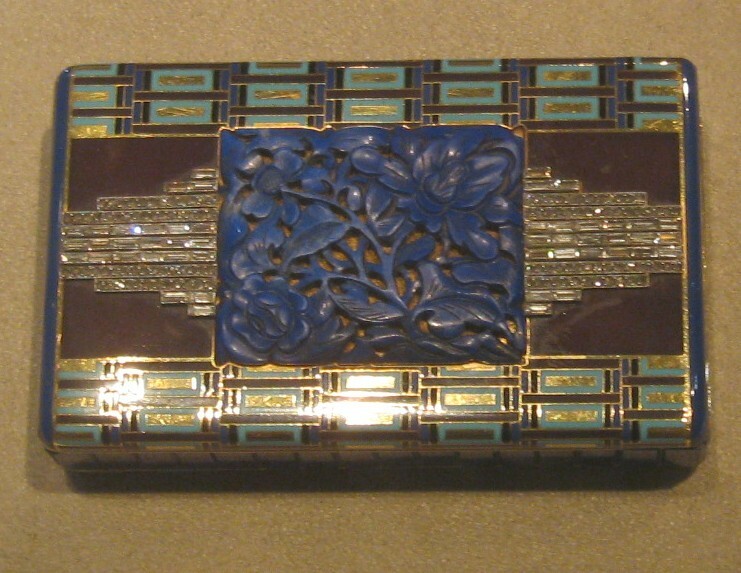 Art Deco Nécessaire. Paris, France, 1928. Blue, black and white enamel, sculpted lapis lazuli, rose- and baguette-cut diamonds, gold. 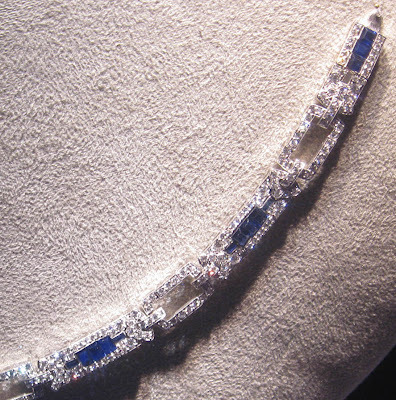 Art Deco bracelet. Paris, France, 1925. Sapphires, diamonds, platinum. Formerly owned by the Duchess of Marlborough (née Consuelo Vanderbilt). I would want to wear this every single day. The Cooper-Hewitt gift shop and the Arthur Ross Terrace and Garden will remain open this summer, both free of charge. The Cooper-Hewitt is scheduled to reopen in 2013. Divine! These jewels are so amazing and I know that the close-up view is even more so. 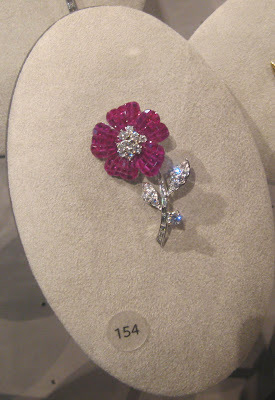 When I was little, my grandfather worked for Harry Winston (accounting, I think) and I would just dream about all of the incredible things you could see there. That Art Deco bracelet is absolutely exquisite. I'd want to wear it every day too! I think i would pick the same items--I just love deco. still works today. These are truly beautiful! I agree--I would wear that everyday if it were mine. 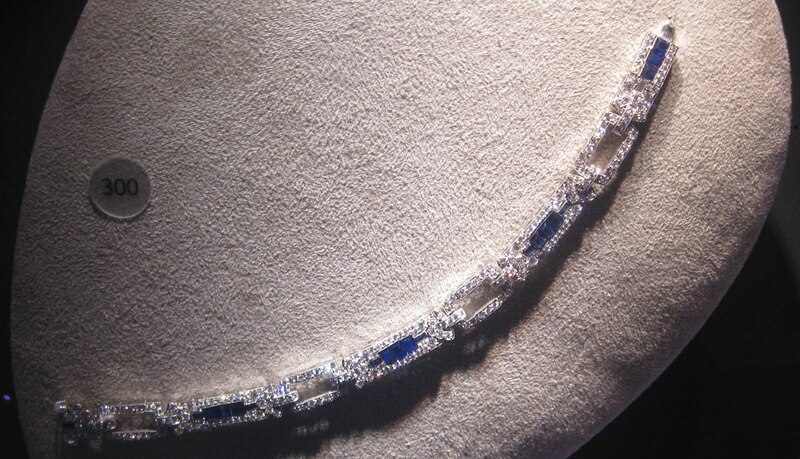 Even without seeing the exhibit, the bracelet is stunning. Excellent choice! Hi Genie, a grandfather that worked for Harry Winston! Wow! Did you ever get to go to the offices or the store? Hi Vahni, Paula, Catherine and Terri, I see we have a fondness for Art Deco jewelry in common, among all the other things. How did you get to take photos?? I loved the exhibit but the Cooper Hewitt was not my most favorite museum. The guards were not very friendly and I was expecting more from the place.